Southern Illinois University Edwardsville’s Ryan Fries, PhD, has received both the 2017 University of Delaware (UD) Department of Civil Engineering Citation for Outstanding Achievement Award and the Illinois-Indiana Region American Society of Engineering Education (ASEE) Outstanding Representative Award. Fries is an associate professor of civil engineering in SIUE’s School of Engineering. The UD award goes to an alumnus who has graduated within the last 15 years from its Department of Civil and Environmental Engineering, and demonstrated professional achievement, entrepreneurship, mentorship, and service. Fries serves as SIUE’s campus representative for ASEE, and all campus reps are annually considered. The award recognizes ASEE members, who have demonstrated staunch support for ASEE on campus. Fries joined SIUE in 2008, teaching and researching topics in transportation engineering after completing his master’s and doctorate at Clemson University. His emphasis is in intelligent transportation systems, traffic operations and transportation security. He has worked with the Illinois Department of Transportation since 2009 on seven different research projects. Fries has received several teaching accolades, including SIUE’s 2015 Paul Simon Outstanding Teacher-Scholar award. He has published over 70 peer-reviewed journal articles, conference proceedings, textbooks and research reports. Along with ASEE, Fries’ professional affiliations include membership in the Transportation Research Board, American Society of Civil Engineers and Transportation Engineers Association of Metropolitan Saint Louis. 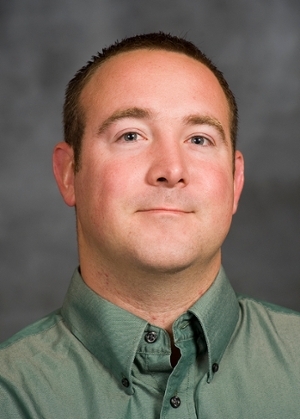 Photo: Ryan Fries, associate professor of civil engineering in SIUE’s School of Engineering.